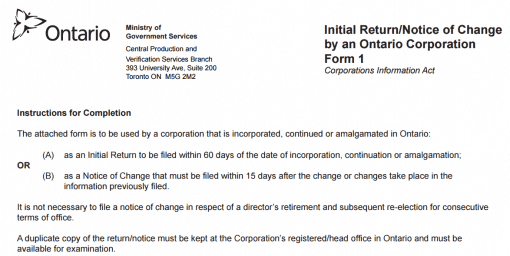 All Ontario corporations are required to submit this Ontario Corporation Initial Return within 60 days of incorporating, to list the corporation’s officers. 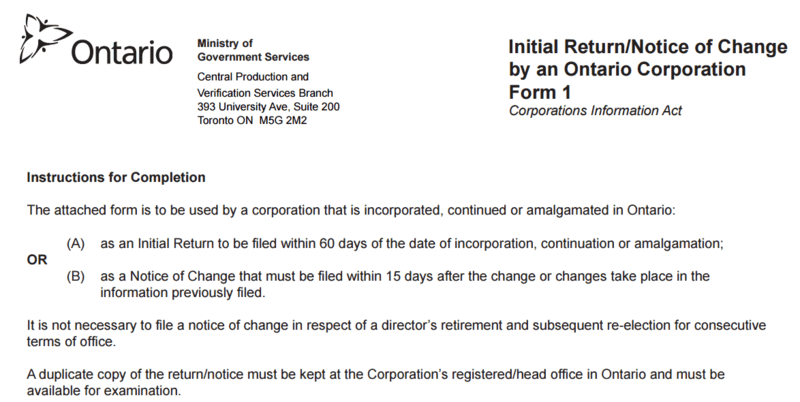 The same form must be submitted within 15 days of any change in the listing of the officers and directors in the corporation. To complete the form, you will need to know the corporation’s legal name, its corporation number, and its date of incorporation. 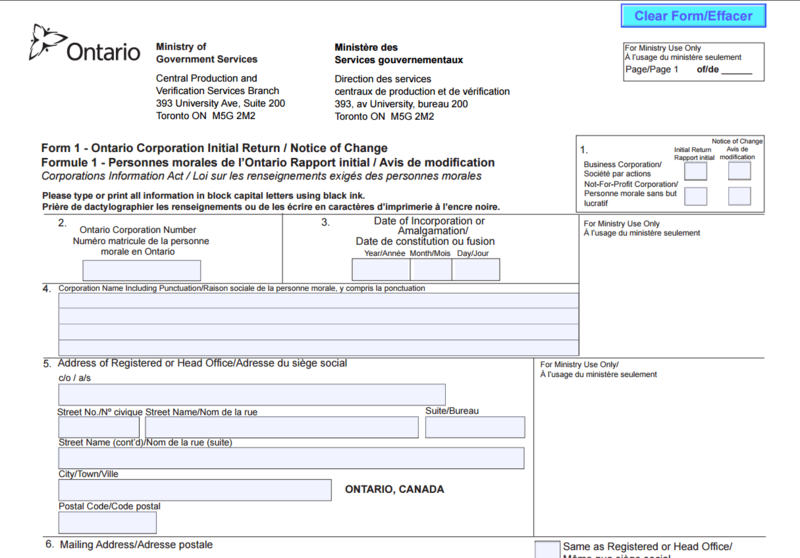 The form has detailed instructions on the first 3 pages.